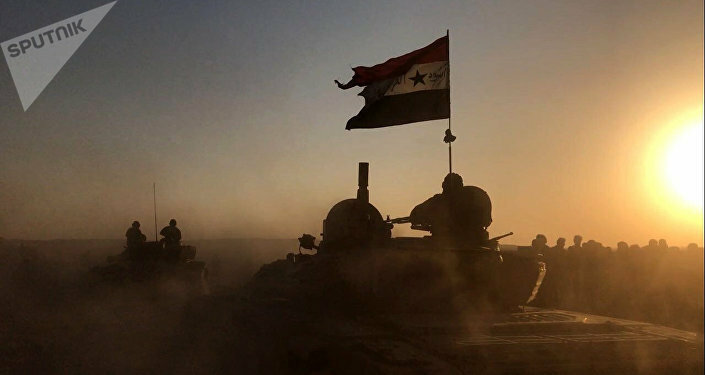 Over the past months, the Syrian government forces have achieved a major breakthrough in the province of Deir ez-Zor, and now the remaining terrorist units have been expelled from the Euphrates River Valley. Russian Defense Minister Sergei Shoigu has reported a complete victory over Daesh terrorists in the east and west banks of the Euphrates in Syria, President Putin announced during his visit to Nizhny Novgorod. "Naturally, some detached resistance hotspots still can exist, but on the whole the combat work at this point and on this territory is finished. I emphasize the complete defeat over Daesh and victory over terrorists," Putin added. The president also noted that de-escalation zones in Syria must be strengthened and the bloodshed must be stopped before transitioning to a political settlement. The overwhelming defeat of the Daesh terrorist group in Syria followed the liberation by government forces of the last major Daesh stronghold in the country, the town of Abu Kamal. The advances of the Syrian government forces became possible after the breach of the three-year-long Deir ez‑Zor's blockade in September, a victory which secured a firm foothold for further offensives. Moscow launched its air campaign in the Arab Republic at the request of President Bashar Assad in September 2015 and has been successfully providing aerial support for the Syrian government army ever since.